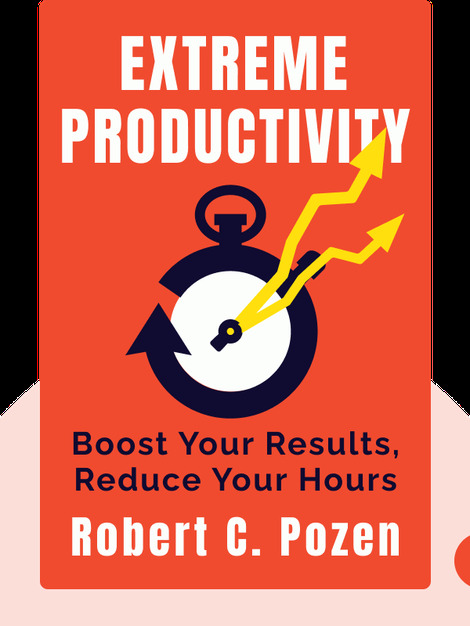 Extreme Productivity (2012) is a guide to boosting your productivity through time management and expert control over the scope and requirements of your work. These blinks will teach you how to prioritize important tasks, end procrastination and generally become more efficient. 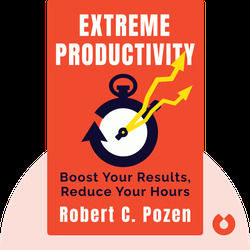 Robert C. Pozen, in addition to being a senior lecturer at Harvard Business School, is the author of six books and a number of articles. Previously, he served as the chairman and vice chairman of various large financial companies and worked on the Bush administration’s Commission to Strengthen Social Security.